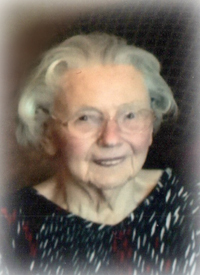 On April 6, 2019, Mrs. Theodora Yoneliunas of St. Paul, formerly of Elk Point, passed away at the age of 92 years. She is survived by her daughter, Elsie (Paul Vander Voort); daughter-in-law, Laurie; grandchildren, Carlos (Sara), Lucas & Cecilia; step-grandchildren, Kyla, Marcy & Stephanie; great-granddaughter, Cambria; 3 step-great-grandchildren; 3 brothers & sisters; as well as numerous nieces & nephews. Mrs. Yoneliunas was predeceased by her husband, Peter; son, Roger; parents, Alois & Sabina Griebel; 4 brothers & sisters. A Funeral Service will be held on Friday, April 12 at 11:00 a.m. at Grace Gardens Funeral Chapel, St. Paul (viewing 10am – 11am). Pastor Kelly Sibley will be officiating, with interment in Elk Point East Cemetery, Elk Point with lunch to follow at Elk Point Seniors Centre. If desired, donations may be made to a charity of one’s choice c/o 5626 – 51 Street, St. Paul, AB T0A 3A1. To send condolences online, please visit www.gracegardensfuneralchapel.com. Elsie – We are sorry for the loss of your mother. Always enjoyed some of Dora’s coffee on my way home. May you find comfort in your memories. Our deepest sympathy to the family in the loss of Theodora. Relation: I am a Relative. Dora is my Dad's sister. Elsie – I have very nice memories of visiting Dora and Pete on their farm with my parents. Dora made us all feel at home and cooked some great meals. I’ll always remember how welcomed she made me feel and how happy she was to see us. 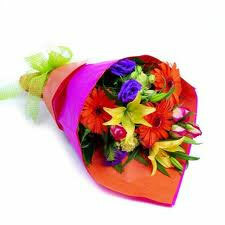 Sending you sincere sympathy, Elsie, on the loss of your mother.